New Release : "There was a time"
There was a time, created by Stephen Harlan, is inspired by a beautiful lighthouse in Nova Scotia - Peggy's Point Lighthouse, also known as Peggy's Cove Lighthouse. Harlan creates an original work of what it might be like to have a home right next to this lighthouse, which currently is simply set on the rocky shore. Peggy's Cove is a Canadian gem. The structure next to the lighthouse does not exist, it only exists through the vision of Harlan's perception and artistic rendition. 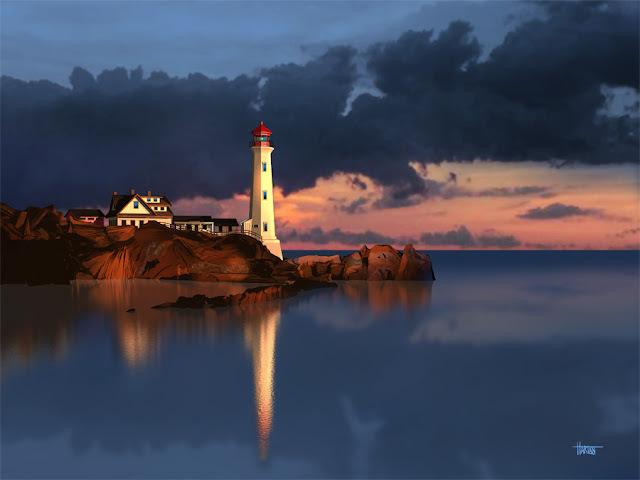 Lighthouse lovers and art collectors will find this piece with its dramatic reflections and impressive sky inspiring. 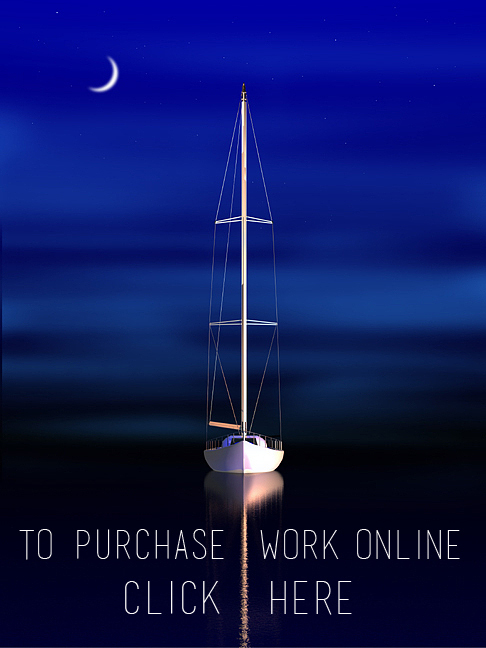 An original fine art digital painting by Stephen Harlan, copyright June 2018. There was a time is available as a limited edition artwork on metal and canvas in these sizes: 24" x 32", 30" x 40" and 36" x 48". Larger sizes are available on request.